Are swimming lessons good for toddlers? Miss Mollie is an amazing teacher. She stresses the importance of safety and swimming technique, yet at the same time, makes swimming fun for the children. Consistency is key. After two summers of swimming lessons with Miss Mollie, my daughter was able to swim on her own at 2 ½ years old! Mollie and Krystal are amazing swim teachers! We started with lessons with Mollie and she got my oldest son to not only get over his fear of the water but to love swimming. This was a child that hated to have his hair washed during baths because a little water might drop down while rinsing his hair. We switched to Krystal because our schedule worked best with hers and my kids fell in love with her instantly. We can not thank both Mollie and Krystal enough for everything they’ve taught and will teach our kids. We highly recommend them! Mollie is a wonderful swim instructor and makes swimming fun. Our daughter has worked with her for three years now and each year she has markedly improved her swimming and comfort in the water. Our son started working with her this year and she has been so patient with him as he adjusts to the water. Most importantly, Mollie always emphasizes the importance of safety and constantly reinforces this message. She is very encouraging and patient and has been such a positive presence for our children. My husband and I cannot be more thrilled with the lessons that our two boys (ages 2 and 4 years) received this summer from Miss Mollie! She is exceptional! With her soft tone, fun games, and catchy songs, she captivated our sons’ trust and was able to get them both swimming on their own in just a few weeks. The confidence they gained along with knowledge about pool safety was invaluable and can only be attributed to Miss Mollie’s trusted experience as an instructor and in her expertise in handling children’s natural fears of the water. We cannot speak more highly of her. Our boys are going to miss her dearly when this summer is over! Mollie teaches my 15 month old swim lessons and she is awesome! Mollie has a great energy about her and instantly connected with my daughter. From the very first lesson, my daughter felt comfortable swimming with Mollie and I was extremely happy. She brings a bunch of water toys that helps to keep her interested when she gets cranky – and she also has a lot of patience too. I love her technique of using rhymes and songs to help teach different swim techniques. Mollie is also always right on time for our lessons, which I really appreciate. I would definitely recommend Mollie and am confident she will get my daughter swimming on her own in no time! Swim lessons are available year round! 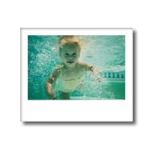 We offer private swimming lessons for all ages, from babies to adults, in the privacy of your own home.